Good Earth! A new shop in Ankara! The name was intriguing, so I ventured in. The shop was full of gorgeous textiles (kitchen & bath), candles, furniture, and more. There was even a corner for kids! celebrate the heritage of the Indian sub-continent and of surrounding areas across Asia by creating unique design stories . . . GOODEARTH is based on values of sustainability. Sustaining tradition and the ecology is a core value. Wow! Environmentally friendly and gorgeous at the same time! 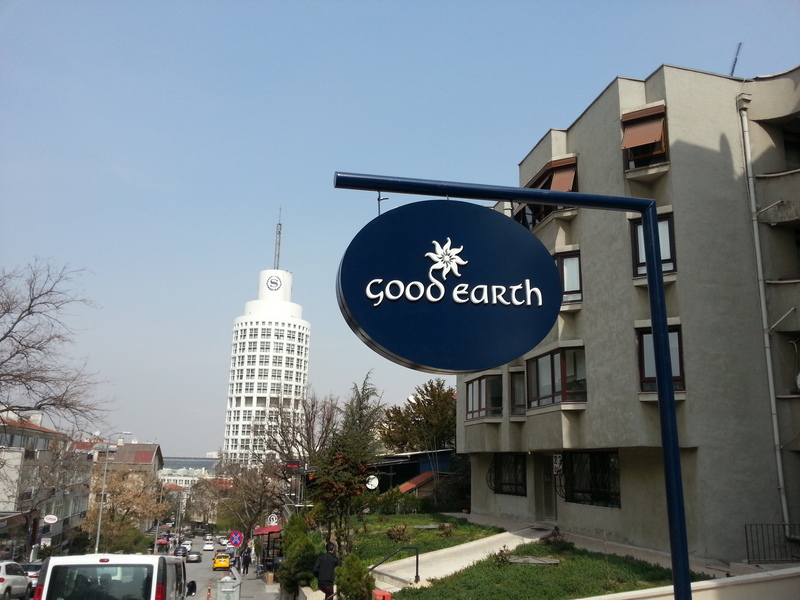 So if you are looking for something to do this weekend in Ankara, shopping for a unique gift, or just out for a stroll, why not check out Good Earth?! And if you run into Çağkan (the handsome young man in the photos who speaks wonderful English) tell him I sent you! The store looks stunning! I definitely love the vibe and eco-friendly mantra. The colors are so happy and bright! I think my house needs some color after looking at all the pictures. Thanks for letting me know whats right in my backyard, Theresa!! LOVE! It absolutely is right in your backyard Angela! And I am sure it is more loaded now than my photos show. Oooh, it is going to hurt the credit card!!! It’s an awesome shop, I have already popped in there! Lots of beautiful things to buy. Hi Lesley! Was the store more stocked than my photos indicate? Looks good – Indian themed shops are catching on in Turkey. Yes, Indian shops, but Turks still have this thing against Indian lawyers. Hello, I’ve been following your blog since I was still living in my country, Indonesia until I moved to France for studying. I always love to see your review over some places in Ankara! I am in Ankara now, doing internship for a month. It’s been a week and I feel bored of going back and forth from my house to office (I live in Kolej and my office is in Tandogan), there’s not much things to see here except Kizilay. I think Gaziosmanpasa is a nice area and I wanna go there on weekend. I don’t speak Turkish, so I feel a bit lonely here. Hello and thanks for reading the blog! You should go to Tunali Cad., which connects Kizilay and GOP. Also, take a trip up to the old castle area in Ulus – little tourist shops, decent food, and a nice view of the city! Your guess is as good as mine! 🙂 They do have a website, but I don’t know if they ship from the local shop or from India. Their FB page (goodearthturkey) has not been updated since 2014.